MWPVL International provides transportation management consulting services for over the road transportation operations including parcel shipping, less than truckload, full truckload, bulk freight, dedicated and private fleet operations. Does our company have opportunities to reduce total transportation spending? How can our firm better leverage existing carriers to improve overall efficiency? Which transportation technology applications exist to improve transportation planning, execution, monitoring and visibility? Which Transportation Management System (TMS) applications are most suitable to our firm's operating requirements? Is there an opportunity to optimize our firm's private (or dedicated) fleet routing through the use of dynamic planning and execution tools applicable to our industry-specific requirements? Are there load consolidation, zone skipping or other transportation opportunities that our company can take advantage of to improve outbound transportation expenses? How should our company execute a tender for bids for shipping rates to enable carrier consolidation? Are there opportunities available to better coordinate inbound and outbound transportation activities to improve asset utilization and operating expenses? How can our company develop a cost allocation system for complex multi-stop loads to our customers? 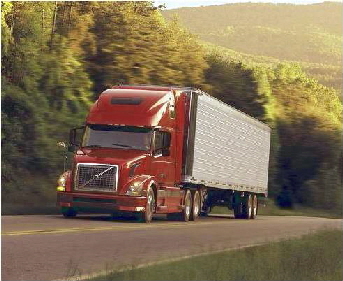 How can our company effectively assure trucking capacity in today’s challenging marketplace? What operational improvements can be made to become a preferred shipper with the carriers? Are there methods of increasing payloads on our shipments to minimize our freight spend? Could a comprehensive Driver Assisted Offloading program assist our customer base to better utilize their employee and equipment assets? Would a “Drop and Swap” program better utilize our employee assets while driving down our freight costs? Would using a 3PL supplier for shipments be beneficial to our company? Is utilizing a rail-to-truck strategy a viable option to reduce shipping costs? Can a carrier self-reporting system assist in managing carrier performance metrics? Would a monthly billing cycle reduce administrative costs? Can a top load program for bulk shipments reduce cleaning costs while ensuring product integrity? Are drop shipments an effect tool to reduce freight costs? What carriers could be utilized for backhaul rates minimizing costs per mile? MWPVL International performs deep analytics on shipment history using advanced transportation software applications to develop our findings and conclusions. We have also cultivated a network of transportation experts specialized in specific areas of logistics to ensure that your advice is always current, unbiased and in the best interests of your company.